Simple syrups are such a great way to flavor cocktails and homemade sodas and they’re super easy to make. After not being able to find Blackberry Cordial at the grocery store for a cocktail recipe, I decided to alter it a bit and make some homemade Blackberry Simple Syrup. 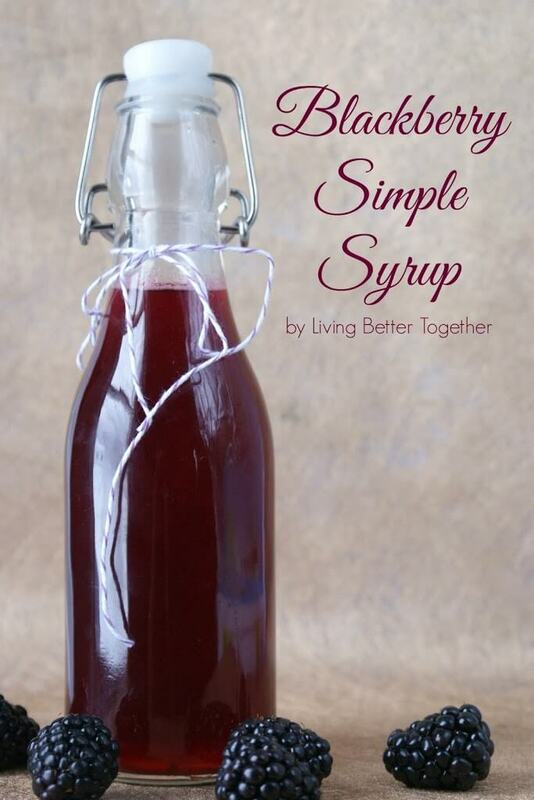 The thing I love about simple syrup is it’s just that, simple! You can apply this recipe to make a simple syrup with almost any fruit! Add all ingredients into a medium pot and bring to a boil over medium heat. Let mixtures simmer until sugar has dissolved and berries are tender, about 20 minutes. Remove pan from heat and let it cool completely. Strain into a bottle/jar making sure to squeeze any excess juice from the blackberries. Makes 10 – 12 oz. You’re going to love the flavor of this syrup, it’s sweet but has that slightly bitter aftertaste of the blackberry. It makes a great Italian Soda and pairs well with rum and vodka, it’s also terrific over ice cream and other desserts! How long can you save this syrup? And do you have to keep it in the fridge? Yes, you’ll want to keep it in the fridge so it lasts longer. It should last about a month in the fridge… if you add a tsp of vodka it can extend the shelf like for up to 3 months. Do you add the vodka after it’s cooled or while it’s still hot? cooled and room temp unless you are making a hot cocktail. CAN I USE BLACKBERRY EXTRACT FLAVORING TO MAKE MY SURYP. I CANT FIND BLACKBERRIES FRESH OR FROZEN AND NO JUICE I”M STUCK CAN YOU HELP ? 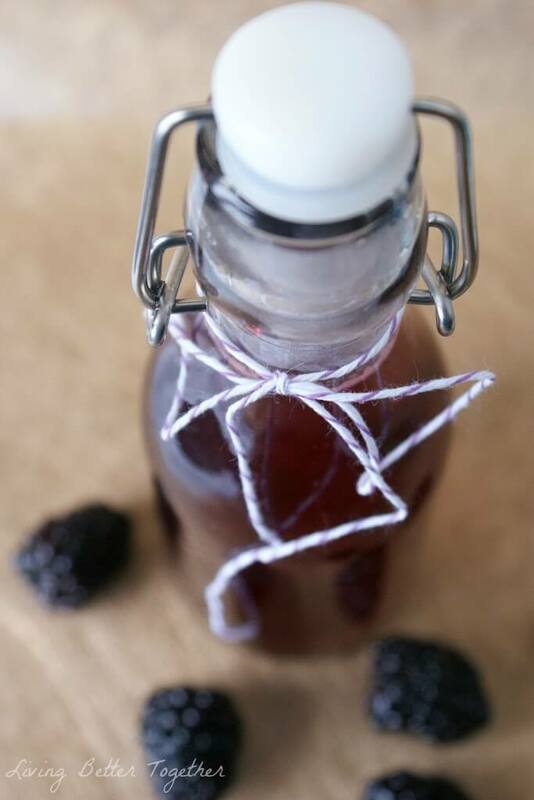 Hi Peggy, Yes, you can, It might not have as true of a blackberry flavor, but you can use my Simple Syrup recipe found here: https://www.sugarandsoul.co/simple-syrup/ and add the extract to it after cooling. Add a teaspoon at a time until your reach your desired flavor. Where did you find the super cute bottle? Making this right now and wishing I had one!